Organizations typically manage many different risks in the course of doing good business. Many of these risks are managed by going out into the field and verifying some aspect of the operation. That’s where SBN’s enterprise risk management solutions add value. 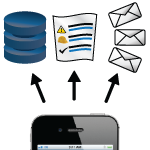 With our mobile ERM system, organizations can identify what elements of risk require field verification and then go out into the field with a mobile device and audit those elements. As an enterprise solution, it can be easily and quickly scaled from one location to all of the organization’s locations. First an organization needs to identify what elements of risk that require field verification. In most cases this includes inventory management and field inspections. 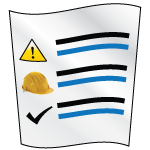 Using a mobile device, a user can head out into the field and verify that inventory is present and can verify if site conditions are as they should be through our mobile inspection application. Information can be edited in the field, and deficiencies can be noted on the spot. Before the user leaves the field, reports can be automatically generated, databases updated, and key stakeholders notified.